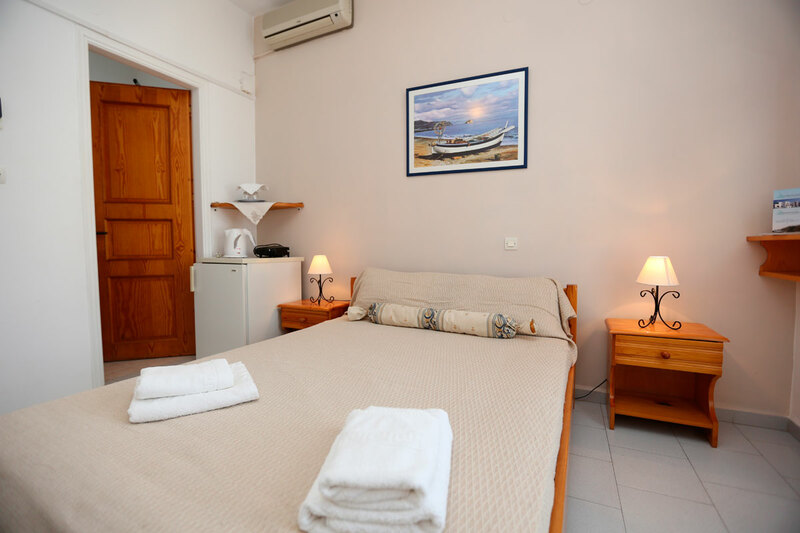 Double Room with view: Room (12 square meters) for 2 people. 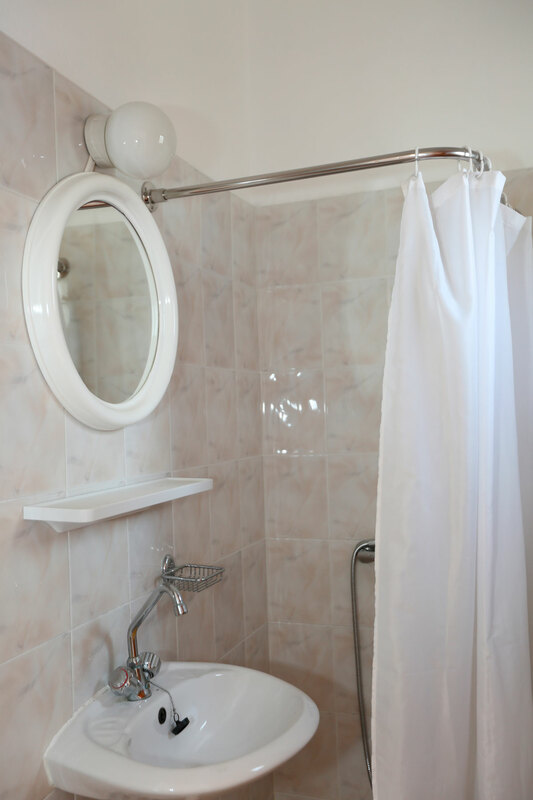 It has a bathroom with shower and a double bed. 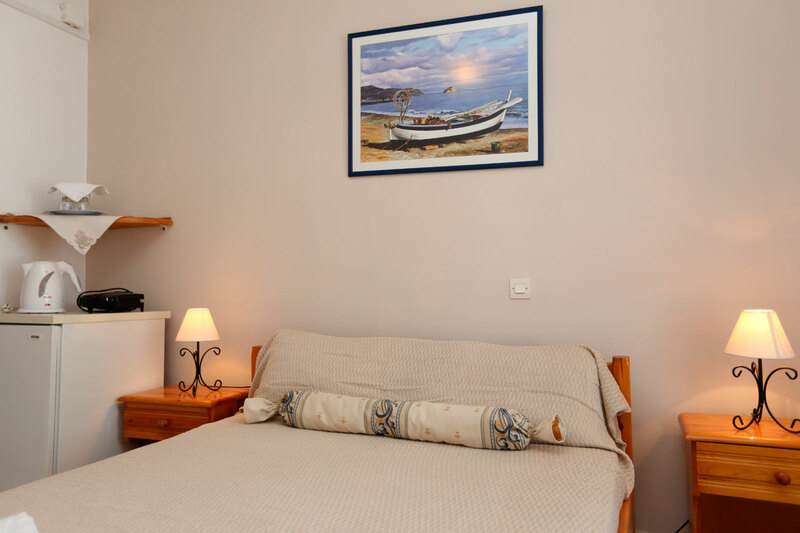 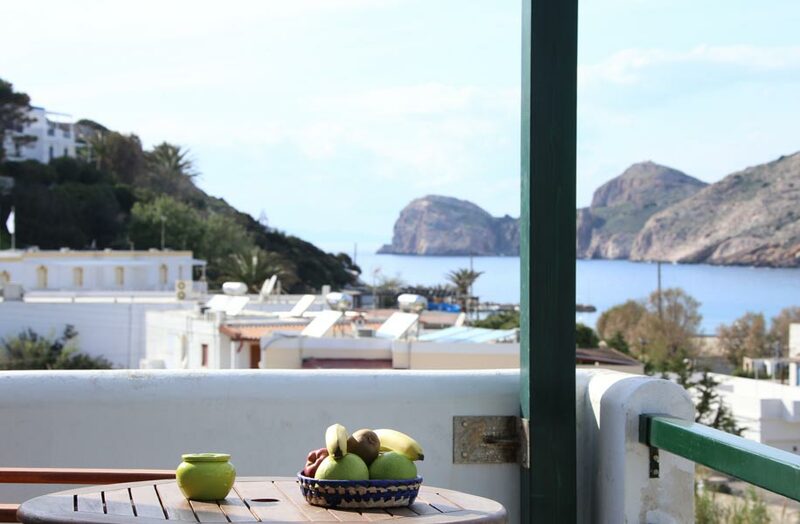 It’s on the first floor and it has its own furnished balcony overlooking the Aegean.